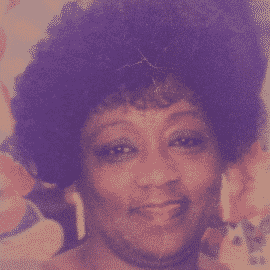 Gloria Etheline Rodney was born on January 23,1939 in Silver City, Republica de Panama. She is predeceased by her father - Clifford Henry Rodney, her mother- Winifred Leone Douglas, her husband- George F Wentt, her sisters Joyce Rodney and Marva Rodney, and her brother-in-law, Gladie Aurelien. Gloria is survived by her sister, Margarita , her sons, Gregory and Aurthur, her son and daughter-in-law Michael and Lisa, her son and daughter-in-law Mark and Zory Granchildren Bianca, Amanda, Clarissa and Blake, nieces and nephews Chris, Yvonne, Michelle and Paulette as well as a host of family and friends. Gloria was a very loving and caring person who gave of herself unselfishly to many of people with her love and presence. Everyone with whom she came in contact with noted that she was a pleasant and thoughtful person who always had a smile and a kind word of encouragement to say. Gloria immigrated to the United States in 1959 and held a number of jobs before working for E. Greenwald & Son for 30years. in 1979, she made the decision to become a United States citizen and was so proud of this accomplishment. she truly loved baking and sewing for others over the course of her life and was the beautiful/detailed wedding dressed that she designed. Gloria had such a love not only for her children but for children in general so much so that she happily designed and sewed the dresses for Debutantes in the Cotillions that she co-coordinated with her friend Mrs. Catherine Gonzales for a number of years Gloria also had a passion for singing and playing the piano and passed that love of music to her children. she was a Christian that believed in the power of prayer and loved the Lord very much and believed in being a blessing to others even as her health began to decline. Although the lord has chosen this time to call her home, Gloria has left a deep and loving impression upon us all and will always be in our hearts. Healgrief has a memorial to share with you. https://healgrief.org/gloria-rodney-08222014/ We invite you to express condolences, share special memories and photos and light virtual candles to honor and celebrate the life of our loved one. We also invite you to share this with others who may want to be notified as well. You may do so by sharing the link or by clicking the “Share this Memorial” button from within the memorial itself.